Through our Bayou Operations Program, we have garnered support from bayou residents, local authorities, and like-minded volunteers to restore and preserve Bayou Teche by removing debris and garbage from this historic bayou. These volunteer efforts have removed over 50 tons of trash from the bayou including cars and refrigerators! 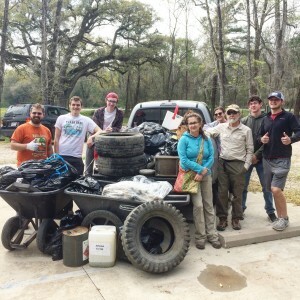 Our popular “Trash Bash and Boogie” events offer volunteers t-shirts, music, and lunch for their efforts along with a sense of pride in knowing that they have contributed to a cleaner and healthier Bayou Teche. and debris removed from Bayou Teche! Our overall mission is to support any effort to improve Bayou Teche and increase water quality on this bayou. Our accomplishments occur through the kindness and energy of volunteers and the donations of local residents, governments, and businesses such as Cajun Paddle, the Kiwanis de Pont Breaux, the City of Breaux Bridge, and St. Landry, St. Martin, Iberia, and St. Mary Parish Governments. 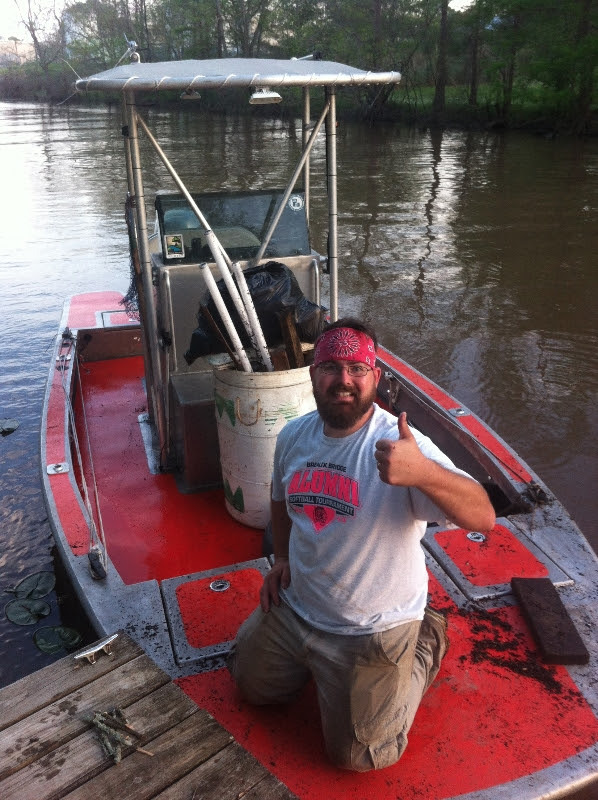 In 2014, the TECHE Project was the recipient of an 18-foot Metal Shark/Gravois boat equipped with specialized rigging for trash pickup and kayak hauling which will aid us tremendously in our future cleanup efforts. In 2015, we received grant funding from Keep Louisiana Beautiful to install “Bayou Teche Watershed, Keep it Clean” signage. Look for these signs on all Bayou Teche Bridges in 2016! If your interested in helping out with our bayou clean up operations, contact Dane Thibodeaux via text at 337-654-3012. Come join us and make Bayou Teche a better place to live, work and play!